Happiness isn't something that comes around so easily anymore. 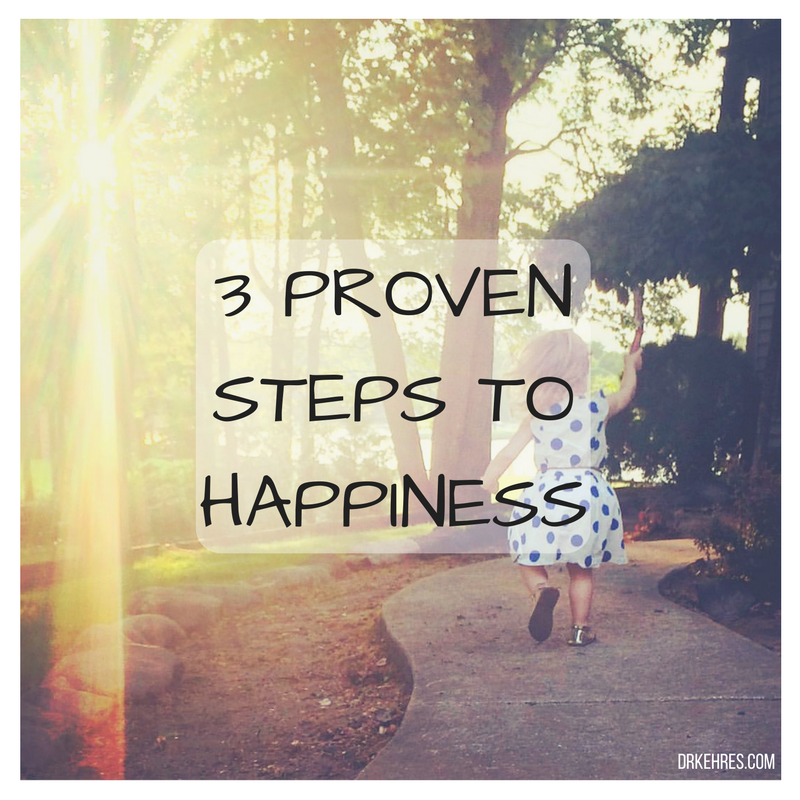 With our fast paced, stressful lifestyles we need to work on being happy. Ultimately, it's our decision to be happy or not depending on how we see the world. And it is critical to our health. Negativity is so prevalent in the news and conversations that there is no way we aren't going to be surrounded by it on a regular basis. So how do we not let it affect us? Being grateful is one of the most powerful ways to be happy. Research has shown that those who are thankful release more dopamine and serotonin than those who do not. These chemicals are known as the "happy chemicals," and help to improve our mood. They have also been shown to work on the same pathways that anti-depressants do and some believe that they just as beneficial if not more beneficial than taking anti-depressants. Find ways to be grateful in your daily life. Make a journal or start a blog to write down all the ways that you are grateful! After doing this for a few months it will become a habit and you will start automatically being grateful. To-do lists stack up every single day and the more things that we have on our to-do lists the more stressed out and unhappy we get. Eventually we get overloaded and even the smallest and easiest things on the to-do list seem like a mountain of a task. Making decisions and moving forward on them is one of the best ways to be happy. Decision making has been shown to calm neural activity in the brain reducing stress levels. The key is make the best decision possible under the circumstance. If you sit around and try to make the perfect decision then you are going to let other tasks pile up and you are going to end up right back where you started. Look at your to-do list and start making the best decisions you can and move forward! Similar to gratitude, helping out has been shown to reduce stress and increase happiness by releasing serotonin, oxytocin and dopamine. Not only does helping out make other people happy it also gives you a sense of satisfaction improving your happiness level. Helping out at work has shown to improve work atmosphere, productivity and rate at which someone gets a promotion. Keep an eye out throughout the day to lend a helping hand. Typically before you know it something will come up and you just have to jump to the occasion. Start adding these steps into your daily ritual and before you know it your level of stress will decrease and your happiness will increase. Remember, habits don't happen overnight so you need to continue doing it for a few months before your brain will automatically do it for you. When trying to make a change it’s always hard to stay on track. Most people set a weight loss goal such as losing 15 lbs. and try whatever is the latest and greatest fad diet, which often includes pretty extreme caloric restriction. It’s not easy, and they feel deprived most of the time but the weight starts to fall off. Eventually they reach their weight loss goal! 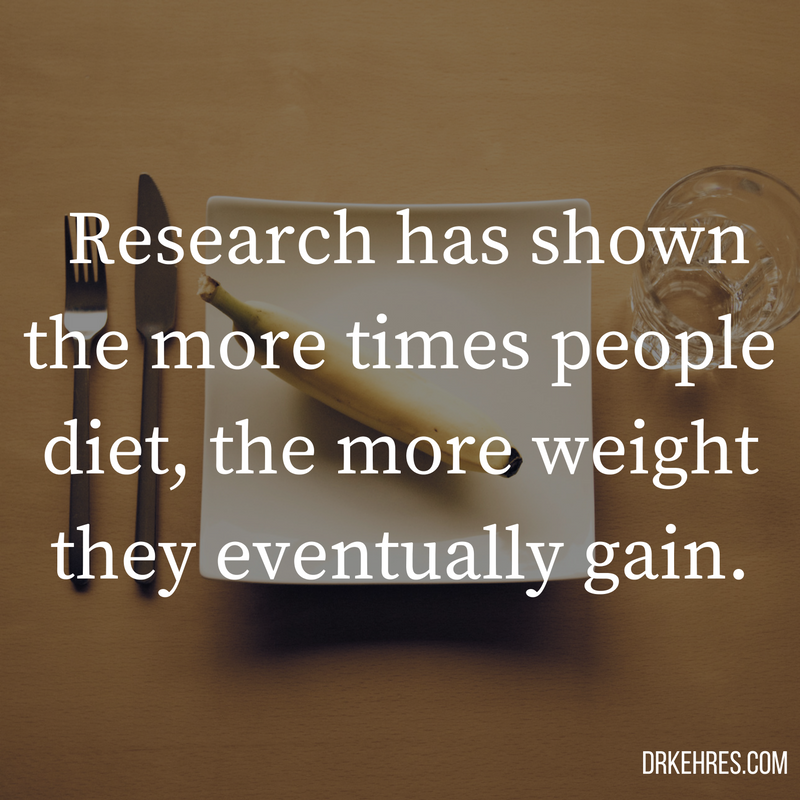 The problem that arises is that the diet is not sustainable. Once they hit their goal, their pre-diet lifestyle starts to creep back and the weight comes back just as fast as it fell off. Sometimes with a few extra pounds. Research has shown the more times people diet, the more weight that they eventually gain. Making a lifestyle change shouldn’t be for weight loss, it should be for long term health. Weight gain year after year increases the risk of all sorts of diseases including heart disease to diabetes to cancer. Determining why you want to change your lifestyle is the most important aspect of making a long term change. Do you want to be able to do your own yard work as you age? Be healthy enough to play with your grandkids? Prevent deadly conditions such as cancer, diabetes or heart disease? Find your why that is bigger than your weight loss goal. Why is it every chance we get to stuff our face with carbohydrates of any form we typically indulge? Or why is it that the reason people can't lose weight is because they can't stop eating carbohydrates? Our ancestors had to survive off the land and eat as much food as they could any chance they got, because they never knew when there would no longer be food. Carbohydrates have the ability to be stored as fat on our bodies, much more so than eating protein or fat. Since there were no refrigerators or ways to store food, the best way to store food would be directly on your body as fat. That way when there was no food for an extended period of time, you could use the fat on your body as an energy source. This is why you see bears and squirrels scavenge and eat everything that they can before winter comes, they know that there is going to be a long stretch before food will be available again. During the winter they survive just fine because they use that extra fat on their bodies as energy. Humans eat carbohydrates like there is always going to be a shortage of food, but the shortage never comes. That's why as a nation we are getting larger and larger. The only way to stop the weight gain is to stop or at least reduce the things that are causing us to gain weight, the carbohydrates. It's not as easy as it sounds because of this innate survival mechanism we have. Our ancestors needed carbohydrates to live through food shortages, we don't. The best way to get past this is to start on a moderate/low carbohydrate diet of 100 grams for women and 125 grams for men and to create a meal plan. All your meals should have healthy protein and fat, as they are the most satisfying thing you can eat. This will prevent you from binging on the processed carbohydrates.